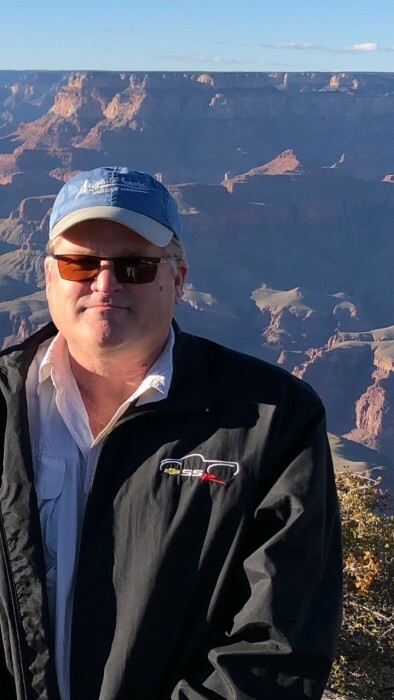 Michael Ross Moore – age 61 passed away Wednesday February 6, 2019 at his home in Liberty, Texas. Michael was born December 31, 1957 in Riverside, California the son of the late Leroy Moore and Patricia Skinner Moore. Michael enjoyed traveling, scuba diving, and woodworking. He was passionate about cars and working on his GTO. He also enjoyed going off roading in his jeep. Michael will be remembered as witty, very funny, and kind hearted. Michael worked for thirty-two years as a Production Technician for Lanxess Corporation. He leaves behind to cherish his memory his wife of thirty-two years Cindy Moore of Liberty, mother Patricia Moore of Carrabelle, Fl., son John Cody Moore and his wife Amanda of Houston, sister Denise Taylor and husband Paul of Huffman, sister Colette Russell and husband Rusty of Liberty, and a brother Roy Moore and his wife Diana of Homosassa, Fl. A time of remembrance will be held February 16, 2019 from 10AM-Noon at Second Baytown Church 6227 N. Main Baytown, Texas. In lieu of flowers donations can be made to the C.J.D. Foundation at www.cjdfoundation.org. Allison Funeral Service has been entrusted with the service. Condolences and memories can be left online at www.allisonfuneralservice.com.